The lumbar region of your spine supports the majority of your body. Approximately 80 percent of people will suffer from a back injury sometime in their life, with the majority hurting their lower back. Muscle atrophy from inactivity is common to people who sit a lot or work in an office environment. Start a lower back exercise routine to improve lumbar strength and prevent back injuries. Learn how to strengthen your lower back. Reduce the number of hours you sit at home and at work. 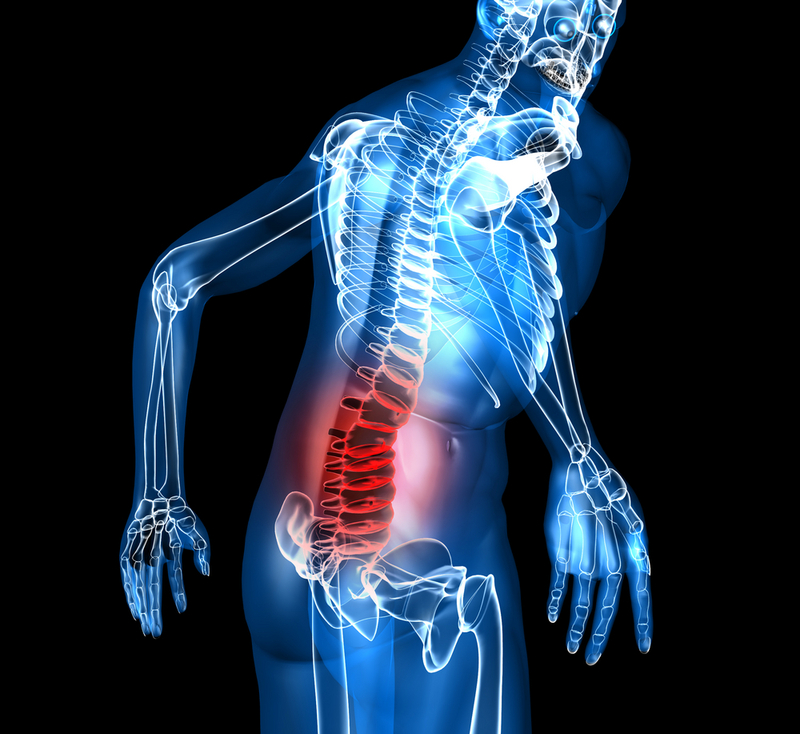 Sitting for long periods of time can atrophy lower back muscles over time. Do not sit for longer than 30 minutes at a time. Set a reminder on your computer or on your phone to get up and walk around. Invest in a sit/stand desk in your office. This desk moves up and down with a hydraulic or hand lift. Alternate sitting and standing throughout your day. Studies have shown that people who sit for 8 hours or more a day have a lower lifespan. Try to sit for less than 8 hours each day. If that is not possible, make sure you do not sit for longer than 5 or 6 hours on the weekends. Buy a pedometer. Aim to walk at least 10,000 steps in the course of your daily routine. Doctors suggest that 10,000 to 12,000 steps is a healthy level of activity. Walking is also very good exercise for your lower back. If you fall well short of this level, try to introduce 10 minute walks at breaks, lunchtime, before and after dinner. Then, add a 30 minute walk every day. Determine if you already experience acute lower back pain. If so, book an appointment with a physical therapist so that they can prescribe exercises that will strengthen your back while reducing lower back pain. If you experience low back pain or joint problems, make sure your aerobic and strengthening exercises are low-impact. Running, jogging and jumping can aggravate low back pain. Swim for 20 to 30 minutes 3 days per week. Swimming laps using the crawl stroke and backstroke strengthen your entire back, while improving heart function and lung capacity. Swimming is an extremely good exercise for people who have joint problems or are overweight. Start with 10 minute swims and increase your time in the water by 5 minutes every 1 to 2 weeks. Walk or jog in water. Aqua walking and jogging provide some resistance that helps to strengthen your legs, lower back and mid-back. Start with 10 minutes and move up to 30 minutes 3 to 4 days per week. Start a walking routine. Try some variations on a regular walk to increase strength in your lower back. Do interval training. Walk quickly for 1 to 2 minutes, and then recover for 3 to 4 minutes. Increase your intervals as you get stronger and improve your cardiovascular fitness. Being overweight and obese increases your risk of lower back injury. If you fit into these categories, aerobic fitness should be a significant part of your fitness routine. Doctors recommend 75 minutes of intense cardio exercise or 130 minutes of moderate cardio exercise.